Keep Getting to The Point! 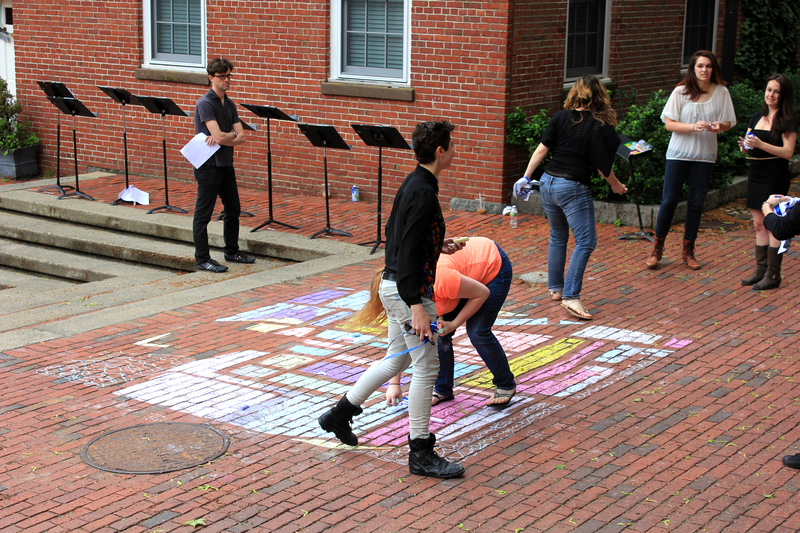 Get to The Point: Neighborhood Narratives installation in Derby Square at the Salem Arts Festival – view of postcard stories located on neighborhood chalk map. 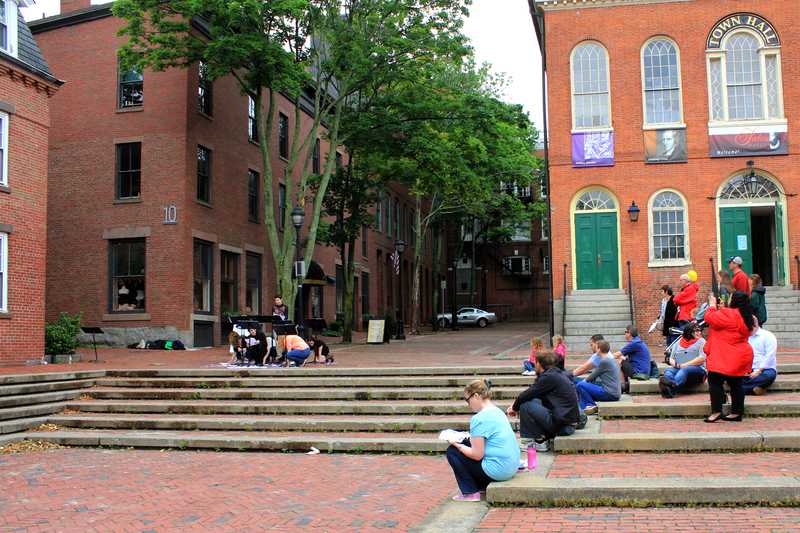 During the months of May and June, Salem Public Space Project collected stories from Point residents and people who have spent some time in the neighborhood. 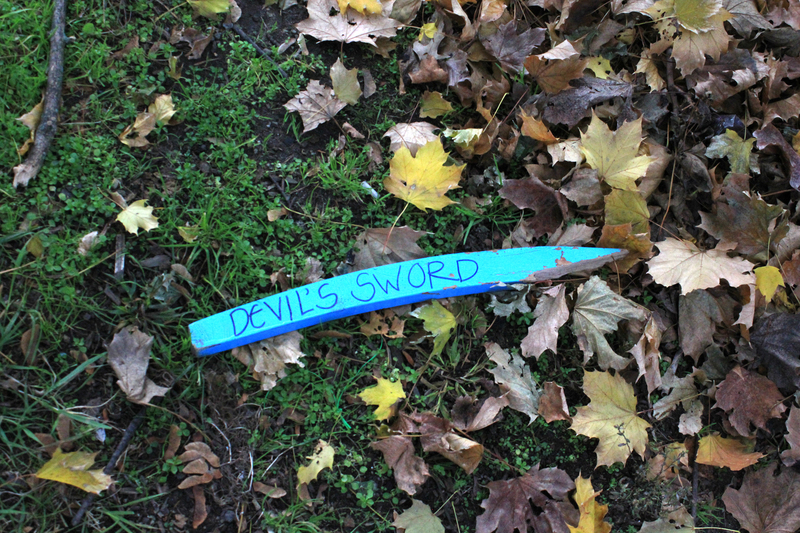 The good memories shared in the stories encourage people to go to the neighborhood – so close to Downtown Salem, yet perceived as such a distant destination. 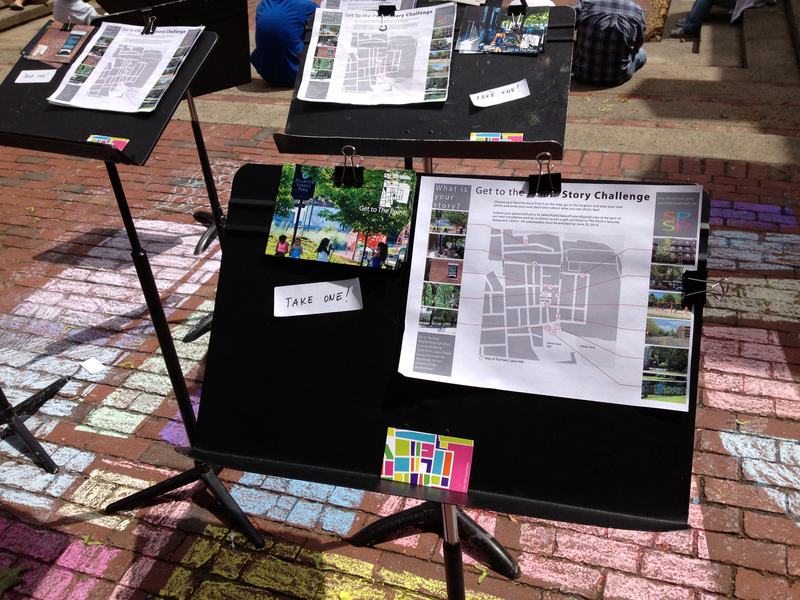 During the Salem Arts Festival, Salem Public Space Project shared these experiences through an installation that feature postcards to take and share in turn. 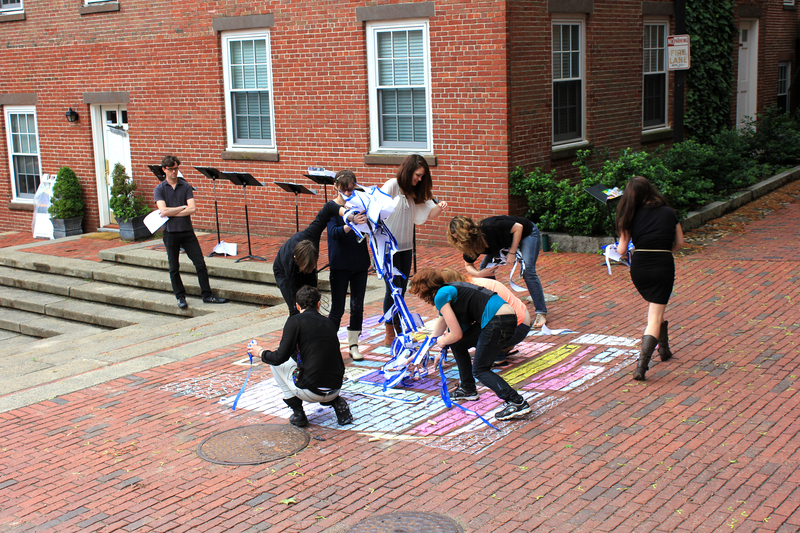 On Saturday, June 8th, Salem State University students launched the installation through a dramatic performance of storytelling and map drawing of the little known Salem neighborhood. 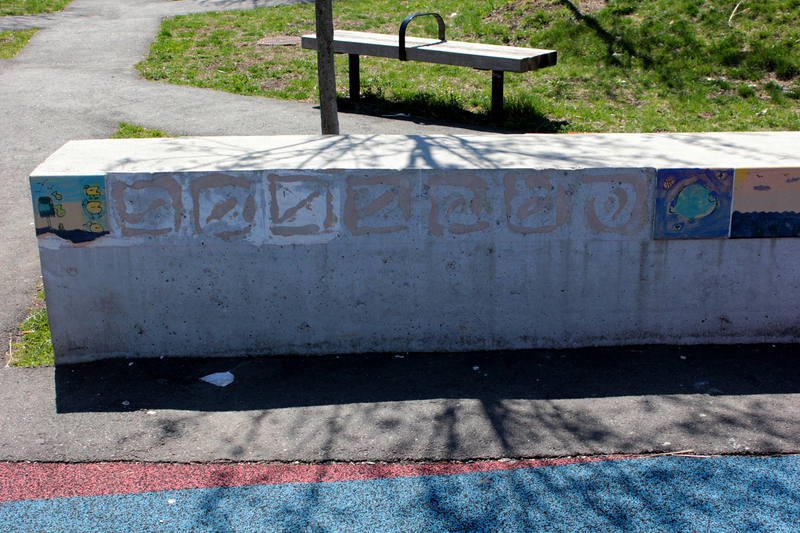 The stories happened in parks, on stoops, down streets, and through open windows. SPSP snapped shots of eleven of the most compelling stories and locations. Explore them all through the growing interactive map. 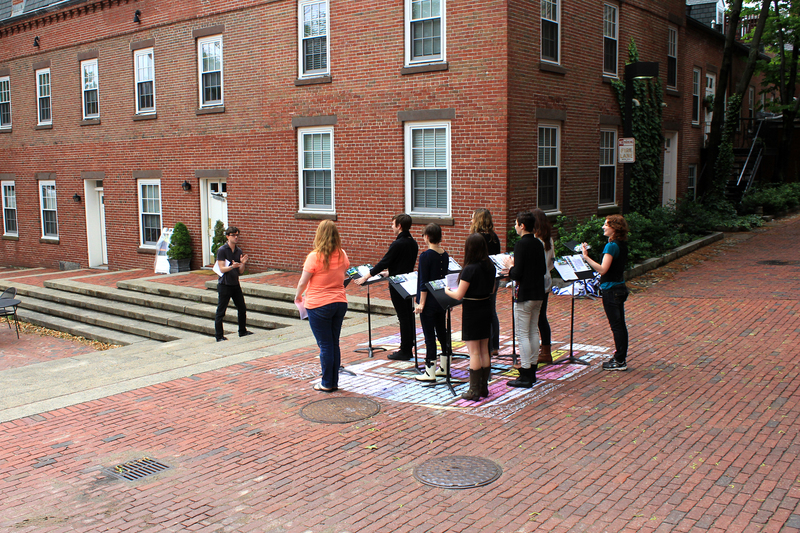 Salem State University students perform stories written by Point Residents. 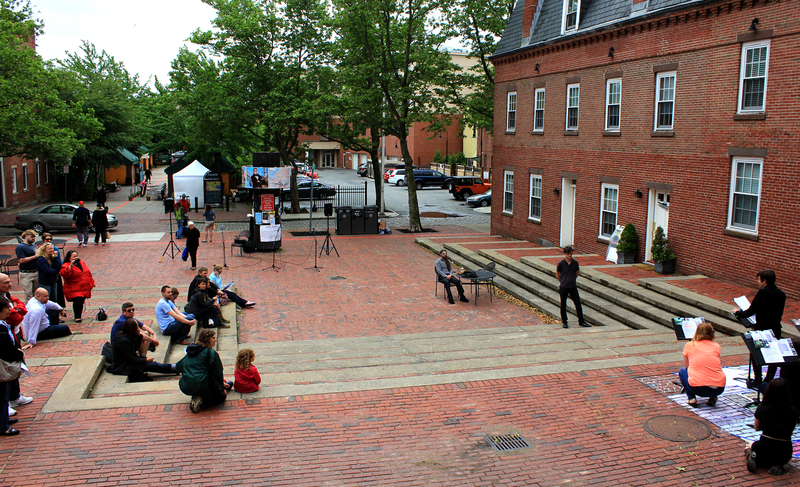 Derby Square provides the perfect stage: Salem’s central Public Space hosts stories about the city’s more marginalized public spaces. 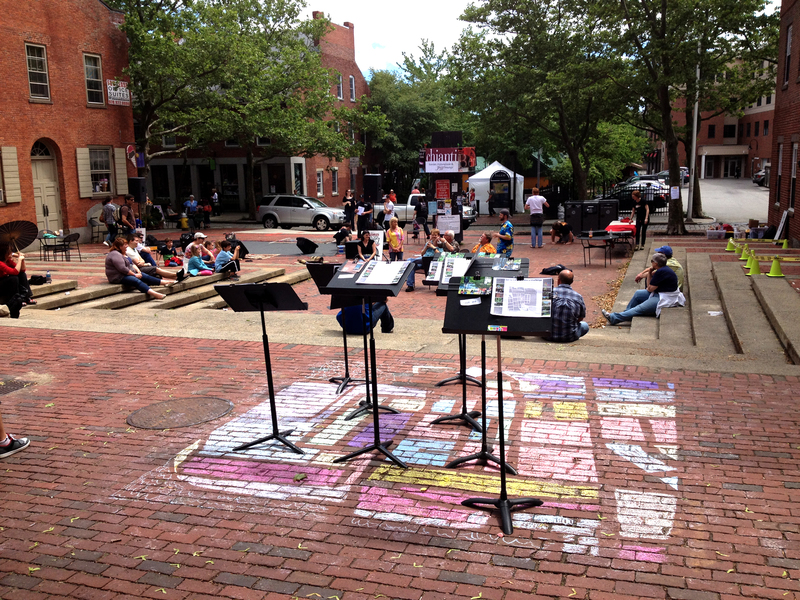 The performers read several rounds of the stories as they fill in the neighborhood blocks with chalk. 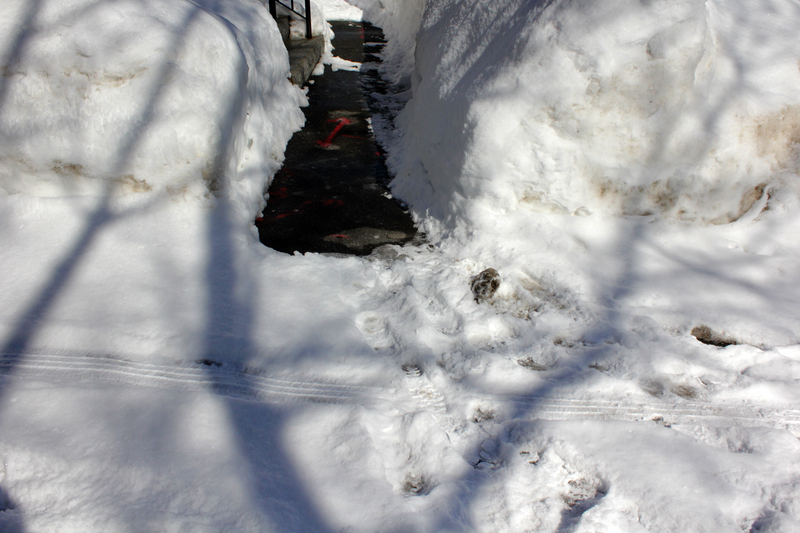 Some lessons learned for future use: Locate the installation to allow for a closer audience. 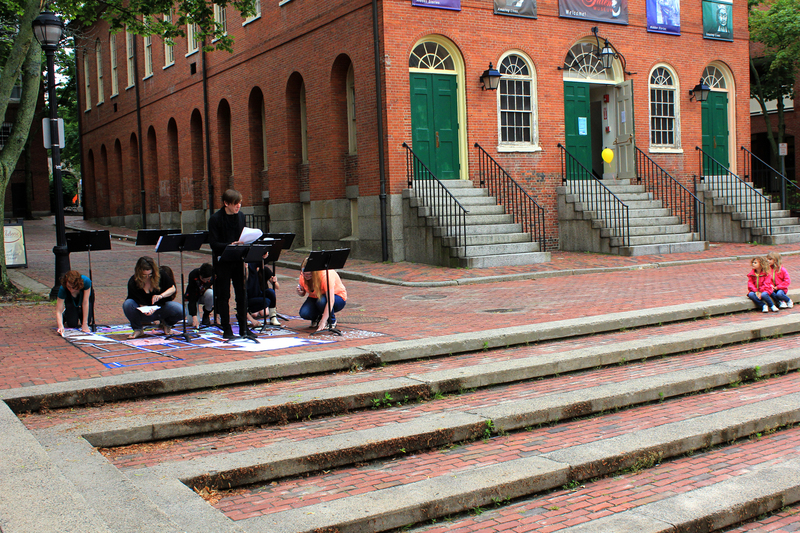 Another lesson: Performances are better after lunch as not everyone gets up bright and early Saturday mornings! 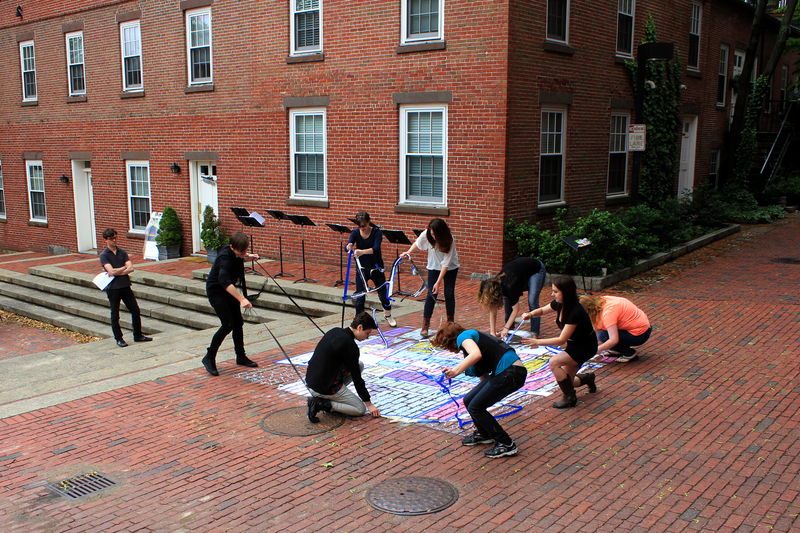 The performers finished chalking in the neighborhood map and began lifting up the paper template. The dynamic lifting of the template was a great climax to the steady rhythm of the story readings. 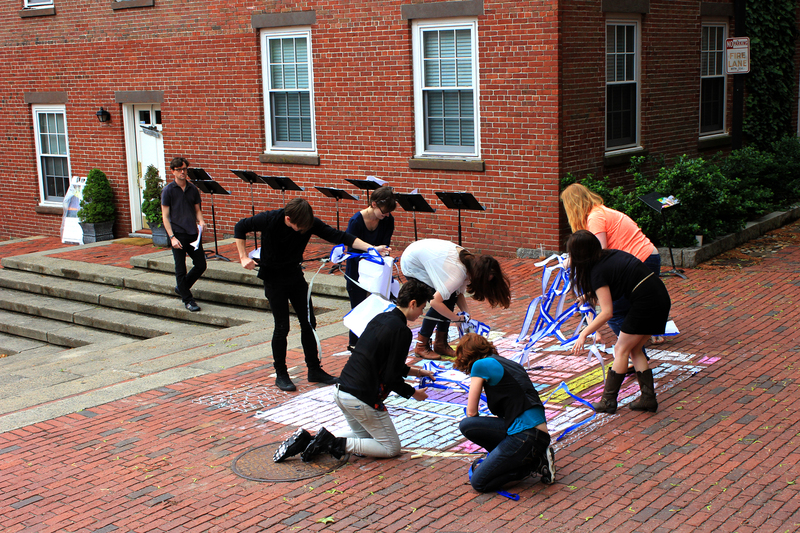 Soon, the performers reveal the map they created. 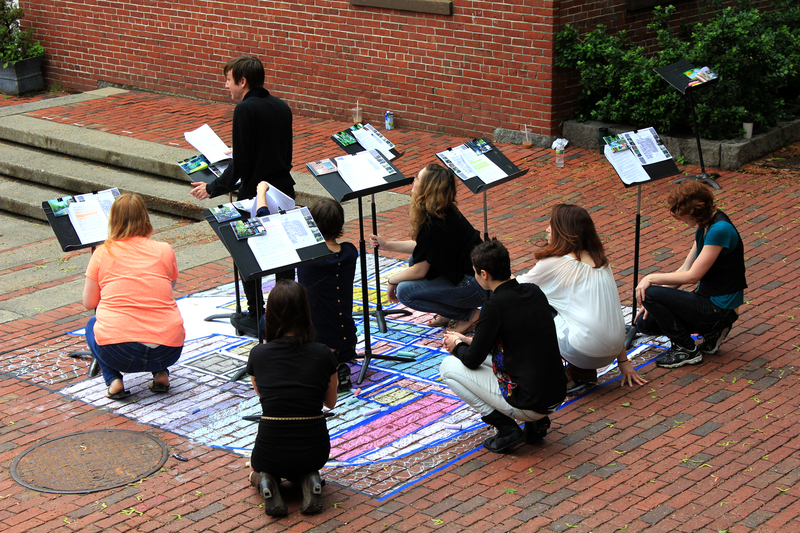 The stands are set back to mark the location of each story, and the performers take their bow. 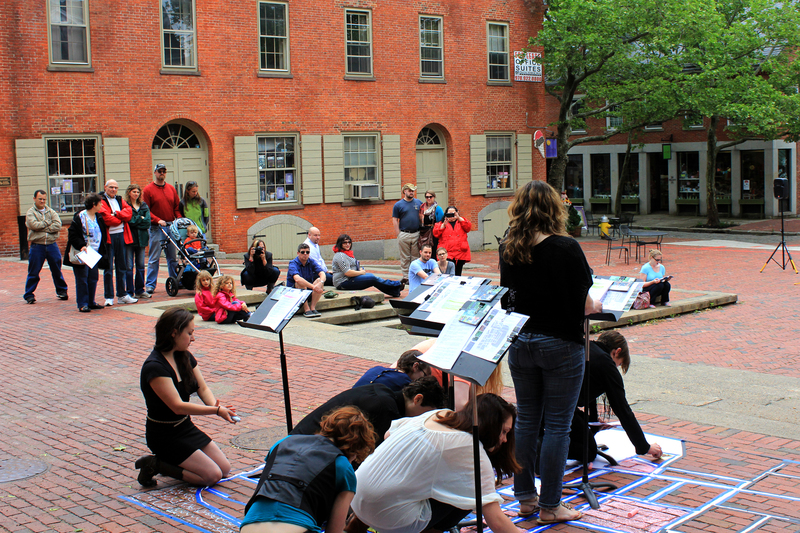 The installation stayed up for two days in Derby Square – story #4 “Green Salem, Clean Salem” and Story #9 “Talking Play” were among the most popular of the postcards collected by visitors to the Salem Arts Festival. 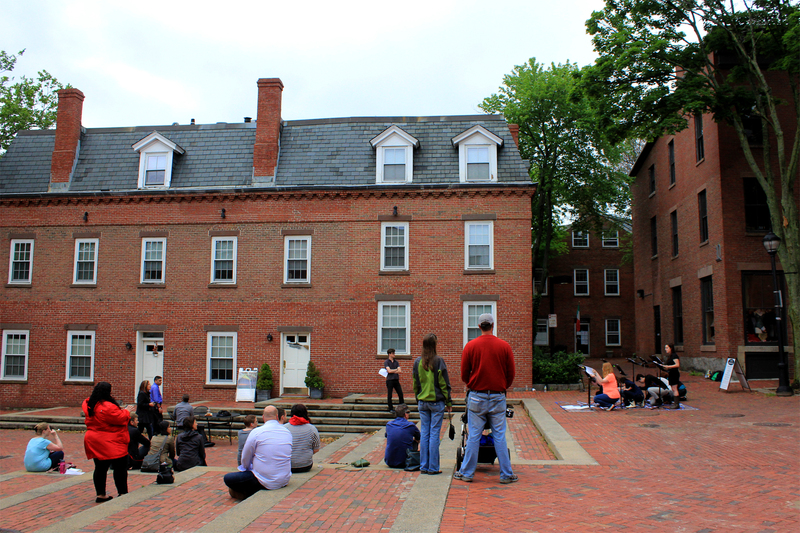 If you missed the project, you will have another chance to read stories and collect cards during Salem’s Heritage Week – exact time and location to be determined. Contact us for more info.